Synonyme for security and traceability of blood bags. Vidimsoft® was founded in 1995 and is specialized in developing hard – and software for the secured digitalization and the interpretation of gel cards for manual blood grouping. 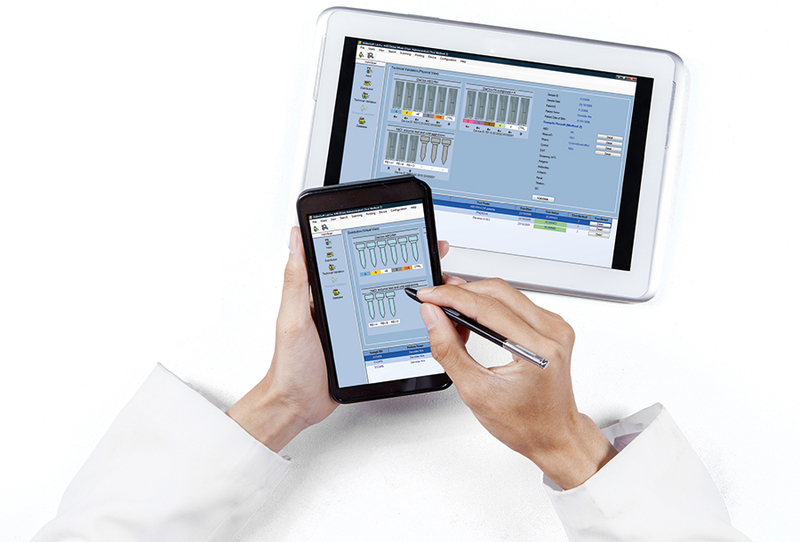 Vidimsoft® continues to invest in the future by developing new products such as remote validation via Tele Blood Grouping® software and handheld devices. Vidimsoft® is working under the ISO9001 and ISO1348 quality system and is your reliable partner for quality products. Vidimsoft "Your security on blood grouping"
Connectable with your own middleware. You can replace your old reader and still use your own software. All software is developed by Vidimsoft® and can easily be customized.